The competition consists of a single round-robin tournament with 12 participating teams, organised in four rounds with 66 matches in total. Teams continue to play against the remaining teams of the other group. The top three teams (if not yet qualified) will earn berths for the Olympics taking place in London from July 28-August 12, 2012. 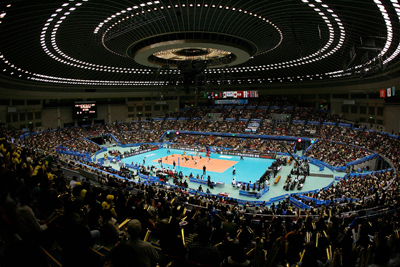 The distribution of teams for Pool A and Pool B for the first and second round will be according to the FIVB World Ranking as per January 15, 2011. NB: In case Japan is continental champion or vice-champion, the third ranked team from the continental championship will be taken into consideration as one of the second-placed continental teams.